I just finished updating the Rawhide Studio jewelry outlets page on the website and blog and realized we now have 20 outlets spread from East to West! Wow! It has been a pleasure to work with everyone of them and along the way we have made some lovely friends. Over the summer our blog posts will be about some of these great stores and a few of our summer art fair adventures. Now let’s travel to the beautiful and artsy little town of Buffalo WY. Walk down Main Street and you will soon see the best shop on Main St, Margo’s Pottery. Owned by potter Margo Brown, she focuses mainly on American made functional and whimsical crafts. 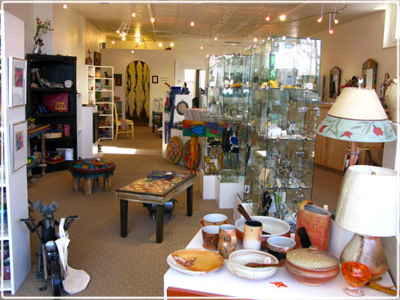 These include ceramics, blown glass, jewelry, furniture, fabric arts, wooden utensils and other items as well as metal art. The store’s vibe is friendly and relaxed and the quality of the work is top notch! After shopping at Margo’s head over to the Occidental Hotel for a bite to eat and if you are there at the right time you can enjoy some live Bluegrass music. Plenty of famous people from Butch Cassidy to Teddy Rooseveldt have stayed at the hotel ( some ghost and original bullet holes too I’m told)! 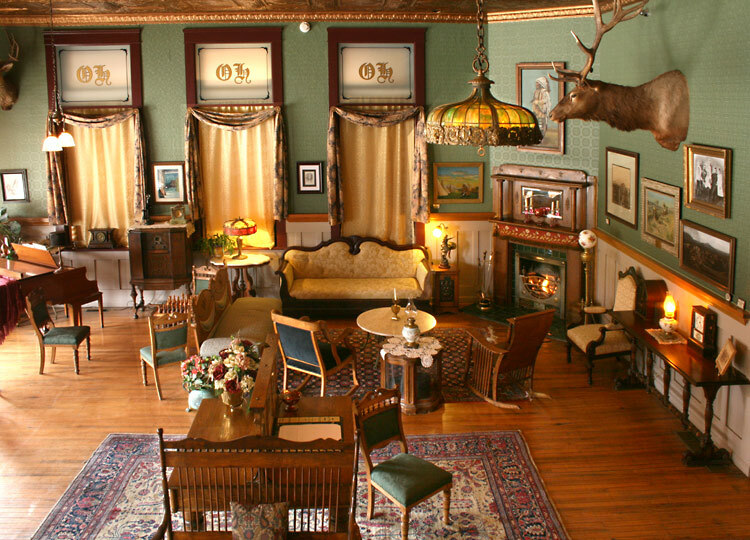 Chock full of history and Bluegrass music, stop for lunch or stay the night in one of the wonderful rooms for guests.